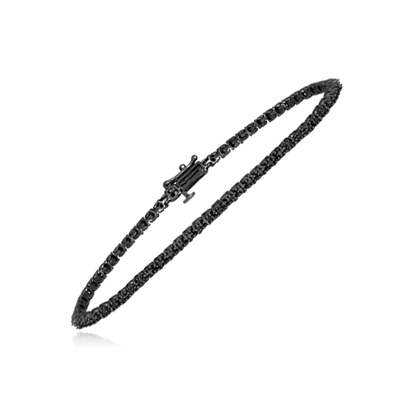 1.00 Ct Round Treated Black Diamond Bracelet in Silver with Rhodium . This dazzling Treated Black Diamond Bracelet displays eighty-eight Round Black Diamonds each prong set in Silver with Rhodium. Approximate Black Diamond Weight: 1.00 Carat. The bracelet is 7.50 inches in length. You save an additional: 198.00!